Fruit Trade Coach. - three simple words strung together as FruitTradeCoach.com to keep the techies happy. Individually, each one syllable word is easy to understand. As 'one word', with a .com added at the end to complicate matters further, the meaning changes - and substantially to boot. Hello there. 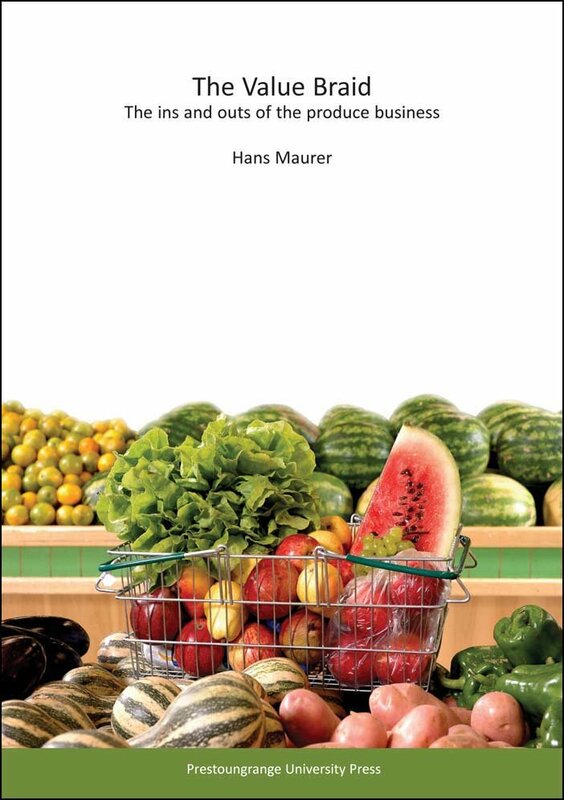 My name is Hans Maurer and I am your Fruit Trade Coach. This bold statement of mine clearly deserves some explanation which is really quite simple. Nowhere on the Internet are you able to visit and learn about the fruit trade in a comprehensive, holistic and objective manner. Sure, you can find hundreds of commercial sites offering fruits and vegetables for sale. Universities which offer horticulture, food marketing or supply chain degrees are also represented plentiful, as are agriculture government ministries, trade associations, retailers and NGOs. But there is not one site where you can go, either as an industry professional or as a consumer, to really learn what makes the fruit trade tick! I have yet to find such a site - and a little while ago I decided to stop waiting for someone else to get his or her act together but to tackle the project myself. And as everyone involved in the entire fruit & vegetable supply chain always thinks "...and vegetables" when they hear fruit being mentioned, I decided 'no harm done'. Which is why there is straight away a bonus for you. You expected to land on the authoritative fruit trade website...and you are getting vegetables as well. This site does not give advice on how to grow fruits & vegetables and I am not a chef. Therefore, please do not expect to see this site peppered with recipes. FruitTradeCoach.com instead concerns itself with the process of getting fruits and vegetables from the grower to the consumer and the steps and circumstances that play a part in this process. You can get a fair idea of what I consider to be part of the process by looking at the navigational bars to the left which allow you to drill deeper into the site itself and gain a greater understanding of the global fruits & vegetables trade. There were several other terms I could have used to describe what I will attempt to do on this site. Analyst, strategist, futurist all came to mind straight away, followed by a few more obscure options. In the end I settled on coach because it is "short and snappy", thus keeping the techies happy, and, more importantly, it contains an applied message to you. Being coached is not a one-off occurrence but a process over time. A coach is therefore someone you visit more than just once, whether the coaching theme is football, baseball or knowledge! And as coaching is a serious business, you won't find too many funny photos here. I would not want to interfere with your learning journey here. For light relief, please check out our Facebook site. Building this site will clearly not be an overnight phenomenon either. Instead, it will be a journey. A journey which I look forward to sharing with you and where I am looking to you for guidance, feedback and suggestions. As the site grows and develops, I will provide you with technology based feedback opportunities and I would be delighted to hear from you.